Location! Location! You'll have pavement right to the property. 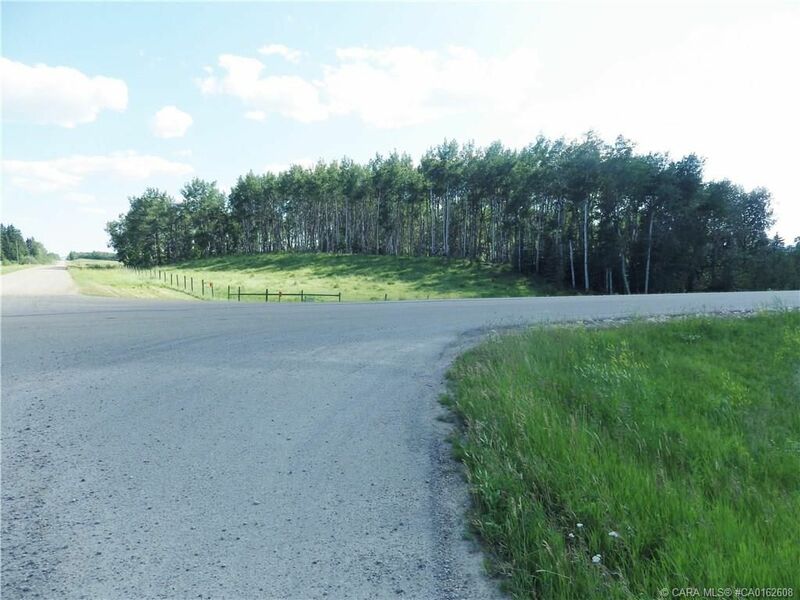 This recently subdivided parcel has rolling topography which creates the opportunity for the new owners to build a new home with a walk out basement. New 5 strand fencing is in place on two sides of the property & the land has an existing nice size stand of trees with the remaining land being good grass growing pasture for the horse lover. From Rimbey travel 2 miles south on Highway #20 to Parkland Beach Road. Turn & travel east on Parkland Beach Road for 2 miles. You are @ the intersection for RR#20 & this is the NE corner of the 9.98 acre parcel Signage in place. Signage is in place.